When I was young, I grappled with a learning disability that went undiagnosed. Back in the 1950s, why a child’s brain struggled with academics had yet to be discovered. Instead, you were labeled slow—or worse, stupid. Fortunately, I developed tricks along the way to help me get through my classes, but reading out loud terrified me. Never wanting to deal with the humiliation that came with blunders, each time the teacher called for volunteers to read the next paragraph, I did a nose dive under my desk, praying not to be seen. Sadly, high school was no different. “Mrs. Madden, it’s painful to listen to Jackie read her speeches,” I overheard Sister Consolatawhisper to my mother one day during my senior year. I was student body president at Mercy High School and speaking from a script at assemblies came with the job. “She stutters and stammers over every word and I don’t know how to help her.” I made a conscious decision to never read in public again. Fast-forward forty-seven years to today. 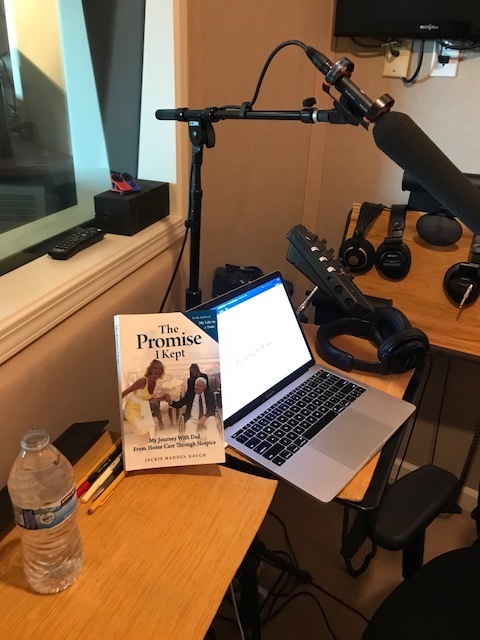 My publisher recently encouraged me to narrate an audio version of my book, The Promise I Kept. Because I’d been giving talks on the subject matter and all was going smoothly, this seemed like the next logical step. 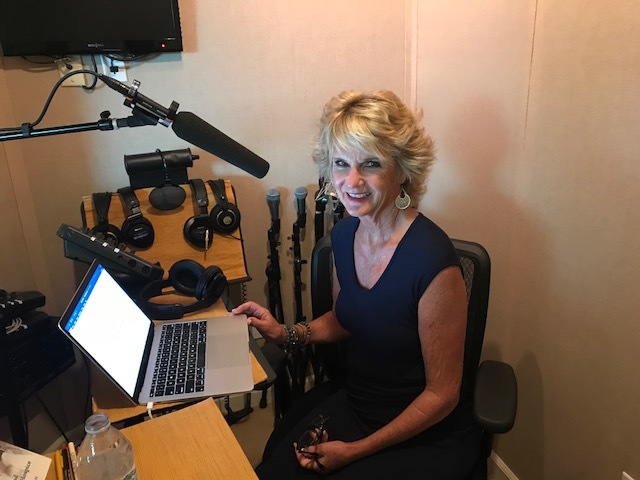 While I’ve never had a problem talking in front of an audience—for talking is my life (just ask my kids)—I decide to take the challenge, hoping things have changed. But no matter how hard I try, I fail again. “I feel like I’m back in high school muttering my way through it,” I groan to my friend Judith during a practice session. It’s been written that negative experiences in our childhood can shape our brains forever if not corrected. Unfortunately, my fear of appearing stupid has become inculcated into my very being and when it appears, I’m once again that little girl who wants to run away and hide. Staring into my friend’s knowing eyes, not only do I realize how right she is, but how silly I am being. At sixty-five, I hope I’m a woman. Remembering how meditation always grounds me, I spend several hours in silence and see my anxiety for what it is: a waste of valuable time. I let this one piece of my life become my Achilles’ heel and it is time to let it go. Saying a prayer, I place my fears where they belong: in an auditorium in my youth with a sea of teenage girls who were probably focusing on some boy rather than listening to me. So, recording studio, here I come! And if I screw up (which I’m sure I will), I know it won’t be the end of the world because along with my newfound courage and dedication to the cause, plus more meditation if I feel weak, there’s another tool I’ll be using: a lovely little button labeled “delete” that will allow me to erase any incoherent wording and start over. Perhaps it takes being a woman to become wise enough to see that with any problem, there’s always a solution. I just need to get out of my head and let my heart lead more often.